Wayne Mark Rooney (born 24 October 1985 in Liverpool) is an English footballer.Since his Premier League debut in 2002, he has played for Everton, Manchester United and the England national team (since 2003). He has won several major titles with Manchester United (five Premier league titles and one UEFA Champions League (2007-08). Rooney has been England’s first choice goal scorer for many seasons. 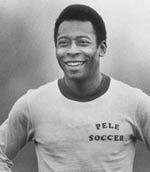 He has an impressive scoring record with 53 goals in 119 international appearances. However, in the major tournaments, Rooney has often been disappointed with England failing to progress as much as could have been expected, given the talent of the squad. Rooney was brought up in an urban area of eastern Liverpool called Croxteth, where he and his two brothers attended the local De La Salle Catholic School. His boyhood team was always Everton; his love for his hometown club was famously bore out when he wore a T-shirt reading “Once a blue, Always a blue”. 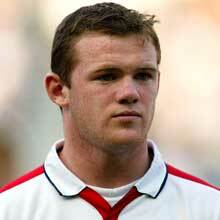 A naturally gifted footballer, Rooney made rapid progress through the youth team ranks. Aged just 16, he made his first team début in August 2002. Rooney gained national prominence on the 19th of October 2002 when he became the youngest goalscorer in the history of the Premier League at 16 years and 360 days while playing for Everton (though this record has since been surpassed twice). His goal against then champions Arsenal was a last-minute winner and brought to an end the London side’s 30-match unbeaten run. At the end of 2002, he won the BBC Sports Young Personality of the Year award. Although he was under an intense media spotlight since arriving on the scene in 2002, it was not until his performances at Euro 2004 that he gained a reputation on the world stage, as he spearheaded the English attack, scoring four goals. Rooney has also been compared to George Best and Paul Gascoigne in terms of talent. Wayne Rooney married Colleen Rooney on 12 June 2008. They had been dating for six years. They had a first child, Kai Wayne Rooney, on 2 November 2009. They have three children. Wayne’s younger brother John Rooney is also a professional footballer, playing for Macclesfield Town, Barnsley, Bury and Guiseley. Rooney was the youngest ever player to play for England, in a friendly against Australia, on 12 February 2003, aged 17 years, 111 days. This record has since been surpassed by Theo Walcott, who came off the bench to play in England’s friendly against Hungary on 30 May 2006. England’s youngest ever player previous to Rooney was James F. M. Prinsep of Clapham Rovers, who made his debut almost one and a quarter centuries before, on 5 April 1879, aged 17 years, 253 days. Rooney is also the youngest England scorer ever (17 years, 317 days). 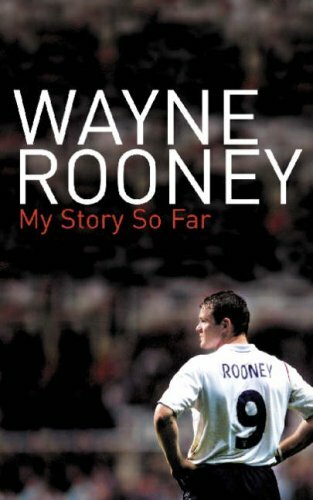 At the Euros 2004 in Portugal, Rooney became the youngest player ever to score in the UEFA European Football Championships, when on 17 June 2004 he scored twice against Switzerland; although the Swiss player.Unfortunately, Rooney was injured early in the quarter final match against Portugal and England were subsequently knocked out on penalties. There was concern for Rooney’s fitness ahead of the 2006 FIFA World Cup after the fourth metatarsal on his right foot was broken, possibly in several places, following a seemingly innocuous challenge from Paulo Ferreira during Manchester United’s 3-0 defeat away at Chelsea on 29 April 2006, putting him out of action for an estimated six weeks. On 15 June, Sven-Göran Eriksson and FA doctors declared Rooney match fit in time for the match against Trinidad & Tobago. Prior to the match there was much speculation as to whether his health would be risked by playing him at this stage; the speculation was ended when he entered the match in the 58th minute, replacing Michael Owen. Although Rooney did not score, England’s fans were keen to see him running with pace (as if he was match fit many weeks before his medical clearance) and making his presence felt on the attack. On 18 June, Eriksson announced that Rooney would be starting England’s next game. Rooney’s rush into play was much to the dismay of his club team, Manchester United, who were concerned that a full recovery would be jeopardised. On 20 June, Rooney started in the final group match, England against Sweden, helping England to a 2-2 draw. On 25 June, Rooney once again started in England’s second round game (knock-out rounds) against Ecuador. Although he failed to score, he looked lively and appeared to be fully fit and definitely match fit. On 1 July, Rooney was sent off in the quarter final against Portugal while fighting for possession with Chelsea and Portugal defender Ricardo Carvalho. Rooney appeared to stamp down on Carvalho’s groin and was sent off by referee, Horacio Elizondo. Rooney later announced, through the serialisation of his biography in the Daily Mail, that the stamp on Ricardo Carvalho was unintentional. He became only the third English player to be sent off in a World Cup Finals. Due to his red card, he missed England’s opening Euro 2008 qualifiers against Andorra on 2 September and Macedonia on 6 September. On 22 August 2009, he became the 20th Manchester United player to have scored over 100 goals for the club, finding the net twice in a 5-0 away win at Wigan Athletic. The 2010 World Cup was another comparative disappointment for Wayne Rooney. England lost in the second round against Germany, and Wayne failed to find his great form of the previous domestic season. In the lead up to the World Cup finals, much media speculation suggested Wayne Rooney was the key to a good England performance. It is possible this weight of expectation played on Rooney’s mind. In November of 2011, Wayne Rooney shocked fans by suggesting he was ready to leave Manchester United, even raising the possibility of moving to Manchester City. In the end, he signed for Manchester United on a new contract making him one of the best paid players in the world. With Manchester United, he won his 4th Premier League winners medal. It was Manchester United’s 19th. At the end of the 2012/13 season, Rooney’s long term manager – Alex Ferguson finally retired from the game. Though the pair often had a difficult relationship, there was also widespread mutual admiration. Ferguson had stood by Rooney through many seasons and frequently expressed his admiration at his talent. The 2013/14 season under David Moyes was a disappointment with Manchester United finishing 7th – However, in February 2014, Rooney signed an extension of his contract until 2019. Rooney has expressed early admiration for Moyes’ replacement Van Gaal. Another disappointing major championship. Rooney missed first two games due to suspension, and then failed to make an impact when he came on. It capped a disappointing season with Man City pipping Man United to title in last minute of the season. In the 2014 World Cup, Rooney broke his world cup duck, scoring his first world cup goal in a 2-1 defeat against Uruguay. However, England were knocked out in the group stages for the first time since the 1950s, capping a disappointing campaign. Total International Appearances -119 goals 53. Stats correct 18 Feb 2018.